SquareOne is the first connected board game console to merge two universes that never combined before: traditional board games and video games. Cards, pawns, dice and other connected objects are the gaming controllers that you can manipulate to evolve in your games. 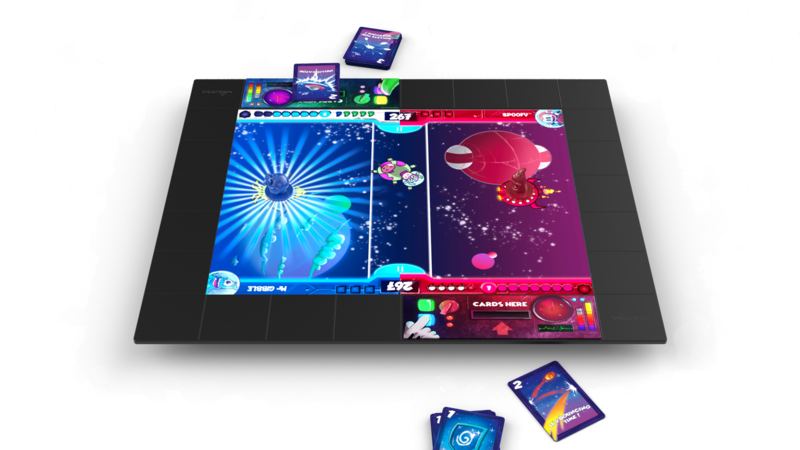 The board surface is now animated thanks to the large touchable screen, and the border increases the playing area for innovative gameplays. SquareOne screen is bordered by 26 dedicated squares that can be used by cardboard tiles, cards and other connected toys. When placed on the console, cardboard tiles are detected and allow to automatically launch the associated game. Every game can customise the borders to build specific playing areas and enlarge the gaming surface. 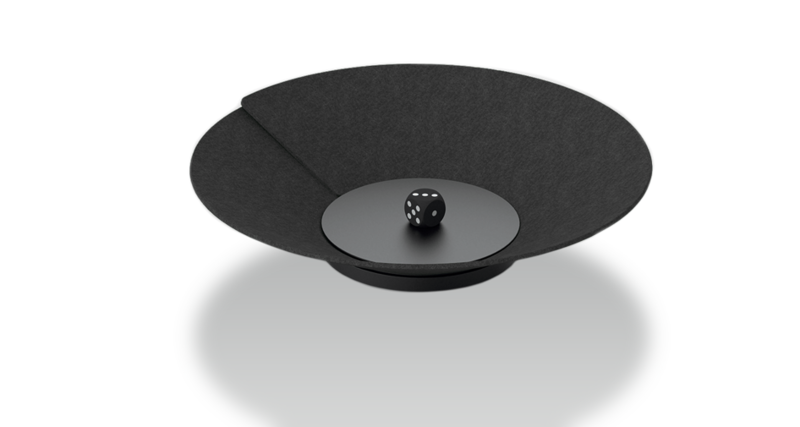 Because we love the feeling of a dice roll, SquareOne comes with a dice track that detects every dice roll and sends its value to the console automatically using Bluetooth and NFC technologies. The dice is completely passive, with no integrated battery which suits the needs of dice hungry board gamers. 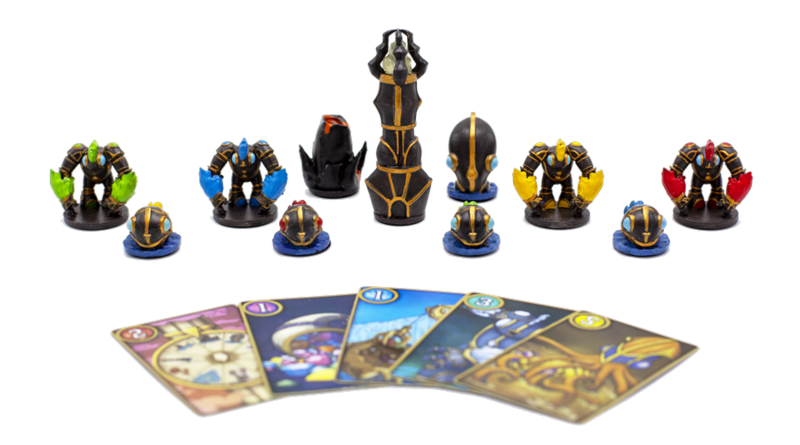 Every console comes with a generic set of cards and pawns allowing to play to a lot of titles instantly. Because we put objects at the heart of SquareOne experience, every game can have its own specific objects to immerse the player in a dedicated universe.